I read this article and found it very interesting, thought it might be something for you. The article is called 2.5 Million Deaths In India From Lifestyle Diseases Linked To Pollution: Study and is located at https://archive.indiaspend.com/cover-story/2-5-million-deaths-in-india-from-lifestyle-diseases-linked-to-pollution-study-98433. In 2015, 2.5 million of 10.3 million deaths in India due to non-communicable diseases (NCDs) are linked to pollution, according to a global study. Pollution caused nine million deaths or 16% of global mortality–three times more deaths than from Acquired Immunodeficiency Syndrome (AIDS), tuberculosis, and malaria combined–in 2015, the study, Commission on pollution and health published in the Lancet, found. 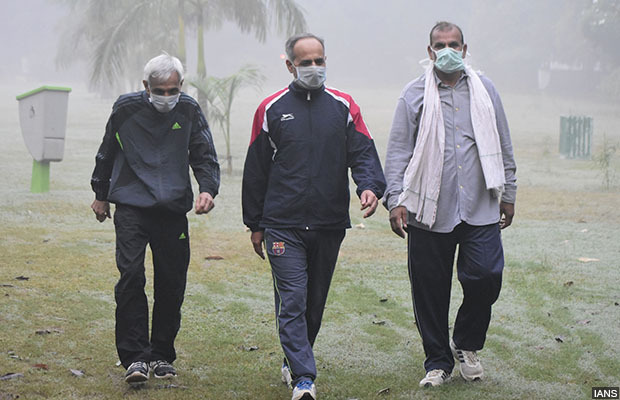 Rising air pollution in a metropolis such as Delhi and smaller cities such as Ranchi are leading to rising incidences of chronic obstructive pulmonary disease (COPD), cancer, diabetes and other pollution-related ailments, the study found. Pollution was in focus again when a December 2017 test cricket match between Sri Lanka and India had to be halted several times as Sri Lankan players complained of breathing difficulties while some also vomited on the ground due to “poor air quality” in Delhi. As many as 27% of deaths in India were caused due to pollution, making it the country with the highest number of pollution-related deaths, followed by China, according to the Lancet study. Low- and middle-income groups are the worst affected by pollution; 92% of deaths due to pollution occurred in that income group, IndiaSpend reported on November 14, 2017. In 1990, NCDs accounted for 30.5% of disease burden, which has risen to 55.4% in 2016, according to the 2017 report India: Health Of Nation’s States, by the Indian Council of Medical Research. Diabetes and heart diseases are the leading causes for India’s increasing disability-adjusted life years (DALYs)–a measure of overall disease burden, expressed as the number of years lost due to ill-health, disability or early death–with diabetes registering an 80% increase and heart diseases 34% since 1990. As many as 61% deaths in India in 2016 were caused due to NCDs, according to a 2016 study, Lifestyle Diseases: Body Burden, by the New Delhi-based Centre for Science and Environment (CSE), an advocacy. There were 22.2 million COPD patients and 35 million asthma patients in 2016, the study said. As many as 13% of all Indian deaths occur due to COPD, according to the Lifestyle Diseases: Body Burden report. Rural men and women are at a higher risk of COPD than their urban counterparts. While 10.76 million rural men were at risk of COPD in 2016, 3.94 million urban men were at risk. As many as 5.54 million and 1.97 million rural and urban women, respectively, were at risk of COPD in 2016. There has been a fivefold increase in COPD treatment costs over the previous two decades. In 2016 alone, the rural population spent Rs 35,445.2 crore ($5.53 billion) compared to Rs 12,860.9 crore ($2 billion) by the urban population. The money spent by COPD patients can be reduced by adopting strategies such as controlling consumption of tobacco and smoking, according to this 2005 report by the World Health Organization (WHO). The increased hospitalisation expenditure for rural India is linked to delays in detection and treatment. Rural citizens often have to travel to cities and towns in order to avail specialised treatments. Lack of awareness, facilities, specialised doctors and lack of minor surgeries increases the collective treatment costs for rural India, IndiaSpend reported on October 17, 2017. Even after being able to get access to treatment in government hospitals, patients are unable to afford the rehabilitative care required. High hospitalisation costs and lack of faith in public healthcare are also among the reasons people avoid formal healthcare. Fewer people in rural India (44.7%) report illnesses compared to urban areas (58.7%), according to government data. “The cost is going to be much higher considering that risk factors in India are more than the four–alcohol, tobacco, poor diet intake and lack of physical activity–identified by WHO,” Sunita Narain, director general of CSE, wrote in the Body Burden: Lifestyle Diseases study.